An annual favourite for families the Barnes Children's Literature Festival returns in May giving you the chance to meet top authors, hear writers talk about their working methods and pose questions to your favourite wordsmiths. They always manage to secure big name authors and 2019 will be the 5th year for what has now become London's largest children's literature festival. 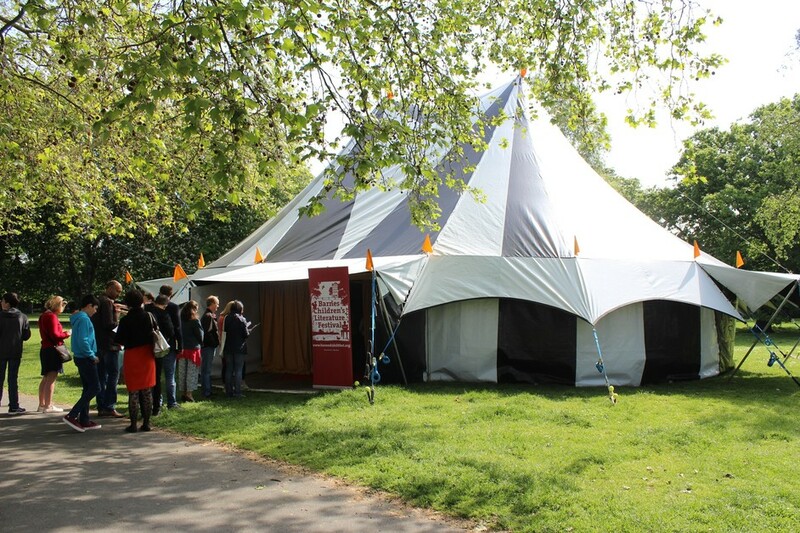 Taking place in various venues in Barnes, stalls are set up next to the duck pond and a big top temporary tent hosts some of the events. In the past they've welcomed Children's Laureates Lauren Child, Michael Rosen and Anthony Browne, author-artist Nick Sharratt and Horrid Henry creator Francesca Simon. Gruffalo illustrator Axel Scheffler, Mog creator and Barnes resident, Judith Kerr, comedians David Baddiel and Adrian Edmondson and television presenters Clare Balding and Lucy Worsley have all been part of the festival in previous years. What are the best dining options near Barnes Children's Literature Festival London? Barnes Children's Literature Festival gyms, sporting activities, health & beauty and fitness. The best pubs near London Barnes Children's Literature Festival. Barnes Children's Literature Festival clubs, bars, cabaret nights, casinos and interesting nightlife. Where to have your meeting, conference, exhibition, private dining or training course near Barnes Children's Literature Festival. From cheap budget accommodation to luxury 5 star suites see our special offers for Barnes hotels, including Holiday Inn Express London Earls Court from 79% off.